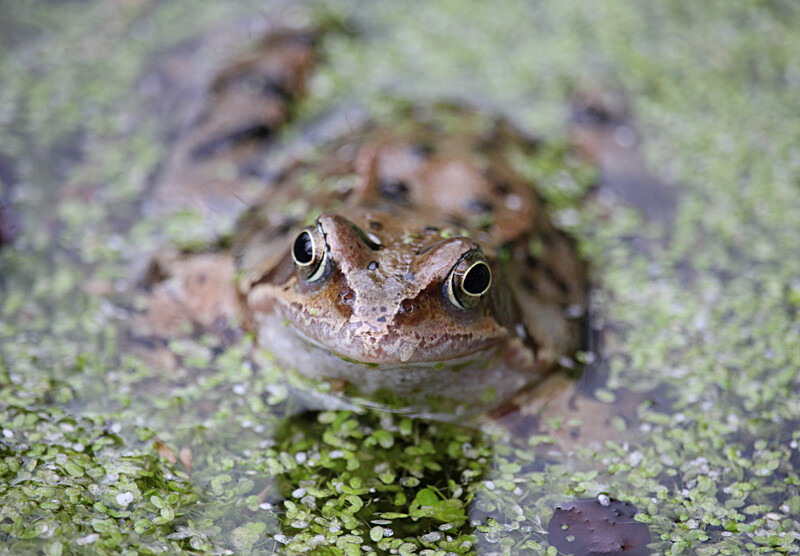 Over the past few days and weeks the weather has been warming up, we’re seeing birds collecting nesting material in the garden, bees and butterflies are emerging, primroses are spurting up everywhere and frog spawn is emerging in our garden ponds. 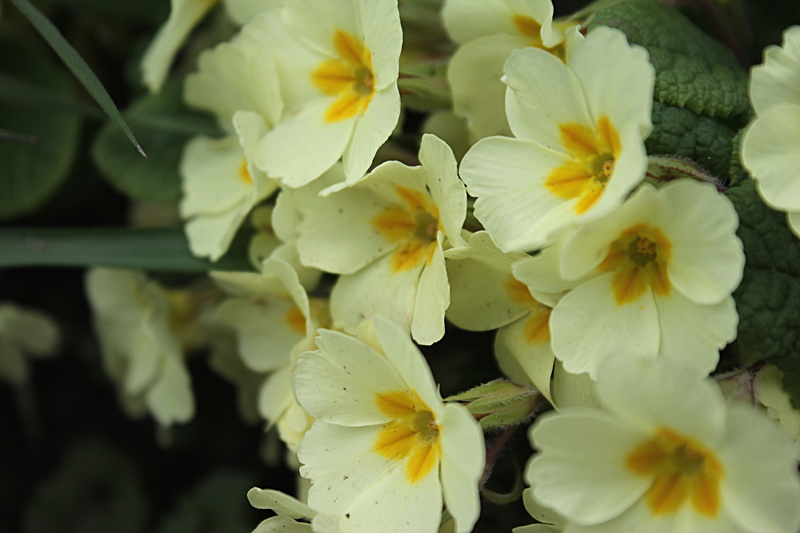 There’s no doubt about it Spring has sprung and it’s very exciting! I went along to one of my favourite local places yesterday, Elford Hall Gardens, and there were plenty signs that Spring has arrived! Whilst walking around the walled garden I was having a good look in one of the small ponds and spotted a massive heap of frog spawn and at least 10 frogs surrounding it. The frogs were croaking, swimming around and poking their little heads above the water. 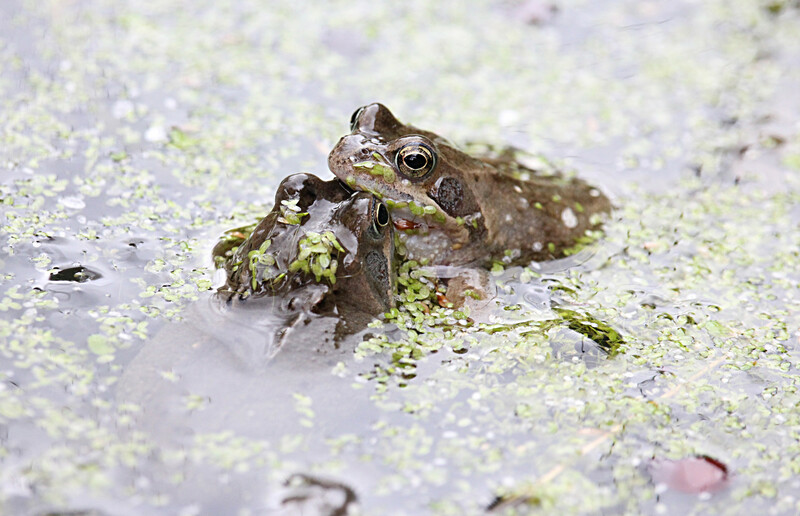 Even though frogs are a species that I see throughout Spring, Summer, and sometimes into the colder months, they were great to watch and I managed to get some photos of them too. 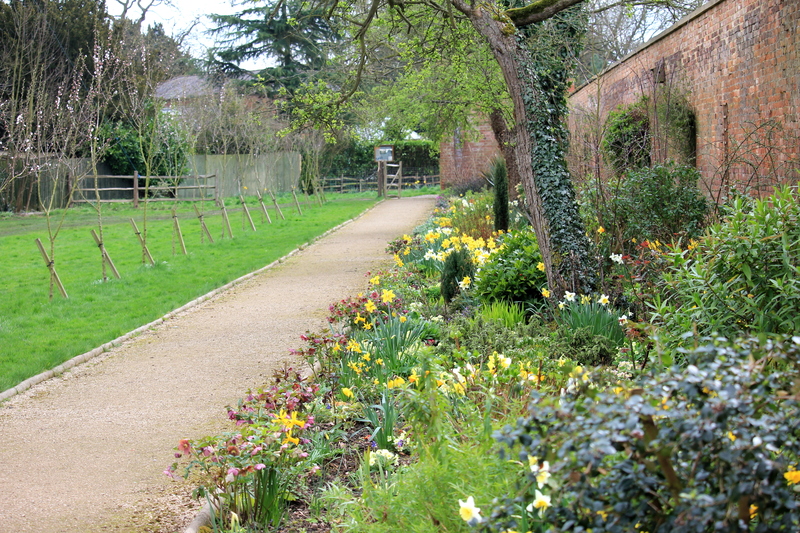 Along with this, whilst walking around the gardens, there were lots of Spring flowers including primroses and daffodils. However the best moment of the visit was walking down a path and a swallow was flying right above our heads! This was the first time I’ve seen a swallow this year so it was very exciting and I couldn’t wait to record it as part of the Big Spring Watch. For those of you who watched Springwatch at Easter on Friday evening you’ll already know all about this but for those of you who didn’t the Big Spring Watch is where you record when you see five seasonal events. By doing this the Woodland Trust hope to piece together the speed at which five seasonal events are first seen across the country from south to north. These records will lead to a better understanding of seasonal timings which means the Woodland Trust, along with many others, may be able to help species that appear less able to react to climate change. We know that our precious habitats are under threat and it’s important that we do what we can to protect these habitats and the species within them. I have already recorded one of the five seasonal events, which was a swallow, so don’t forget to do so yourself when you spot one of the events from the list.